A professor whose research is helping a California police department improve its strained relationship with the black community and a lawyer who advocates for victims of domestic abuse are among the 21 winners of this year's MacArthur Foundation "genius grants." The Chicago-based John D. and Catherine T. MacArthur Foundation announced on Wednesday the 2014 recipients, who will each receive $625,000 to spend any way they like. 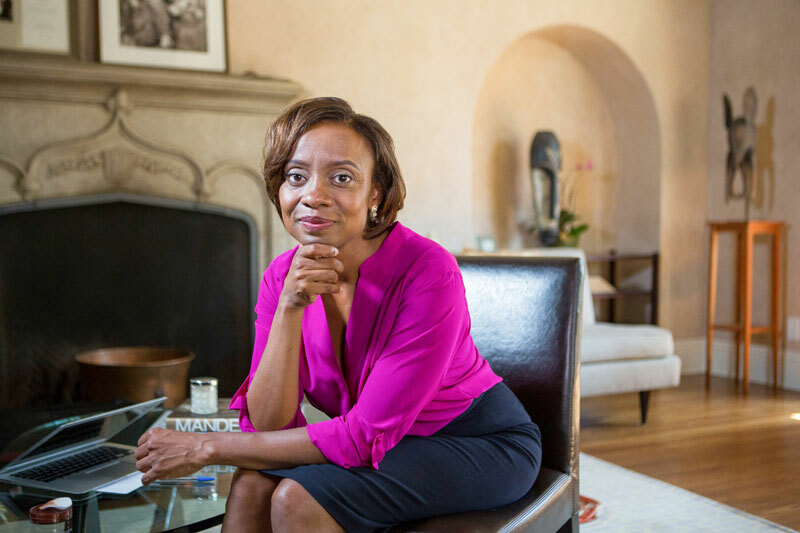 "I think getting this (grant) speaks to people's sense that this is the kind of work that needs to be done," said recipient Jennifer Eberhardt, a Stanford University social psychologist who has researched racial stereotypes and crime. Shrouded in secrecy, the selection process involves nominations from anonymous groups and recommendations from the foundation's board of directors. Recipients have no idea they've won until they get a call from the foundation, and even then recipients have been known to wonder initially if someone is trying to trick them. "I got really quiet and they (people he was with) were asking me, 'Did somebody die?" he said. Eberhart's work prompted the Oakland, California, police department to ask for her help studying racial biases among its officers and how those biases play out on the street -- topics that have been debated nationally in the wake of the police shooting of Michael Brown, an unarmed black 18-year-old in Missouri. Eberhardt, who is also studying the use of body cameras by police -- another topic of particular interest since Brown's shooting -- said, "I hope this will show the work matters, holds value and promotes social change." The justice system is also at the heart of Sarah Deer's work as a legal scholar and advocate for Native American women living on reservations, who suffer higher-than-average rates of domestic abuse and sexual violence. Deer, a Native American who teaches law in Minnesota, met with women who simply stopped reporting such attacks because their tribal governments had been stripped of the authority to investigate and because federal authorities were often unwilling to do so, she said. The foundation pointed to her instrumental role in reauthorization of the Violence Against Women Act by Congress in 2013 that restored some of those abilities to tribes. "For the first time since 1978 ... tribes (can) prosecute non-Indians who have committed acts of sexual assault and domestic violence on reservations," she said. Like Deer, fellow recipient Jonathan Rapping has worked to improve the lives of others. A former public defender, Rapping founded Gideon's Promise after seeing a legal system that he said valued speed over quality representation of the indigent. The organization trains, mentors and assists public defenders to help them withstand the intense pressure that can come with massive caseloads. Today, the program that began in 2007 for 16 attorneys in two offices in Georgia and Louisiana has more than 300 participants in 15 states. The foundation recognized Khaled Mattawa, an associate professor at the University of Michigan, for his poetry and translations of Arab contemporary poets. Mattawa, who said he started translating the poetry as way to teach himself to write poetry, said the work can connect people from different cultures. "The poets are bearing witness not only to the humanity of their own people but of a shared humanity," he said. The awards, given annually since 1981, are doled out over a five-year period. This year's class brings the number of recipients to more than 900. Most winners are not widely known outside their fields, but the list has over the years included writer Susan Sontag and filmmaker John Sayles.